[twitter]This is not a sponsored post. Nobody paid me to write this, I’m just writing this because .. well .. 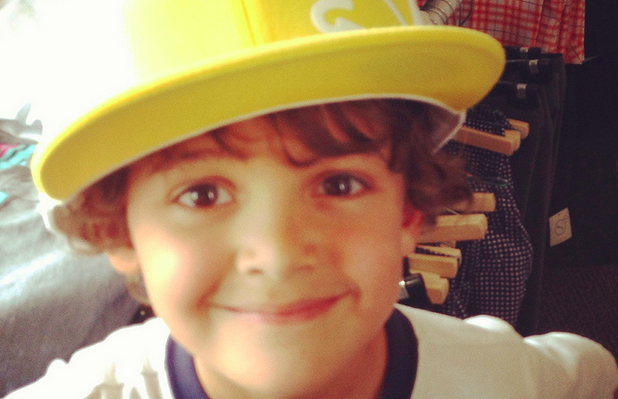 I want to say thank you. 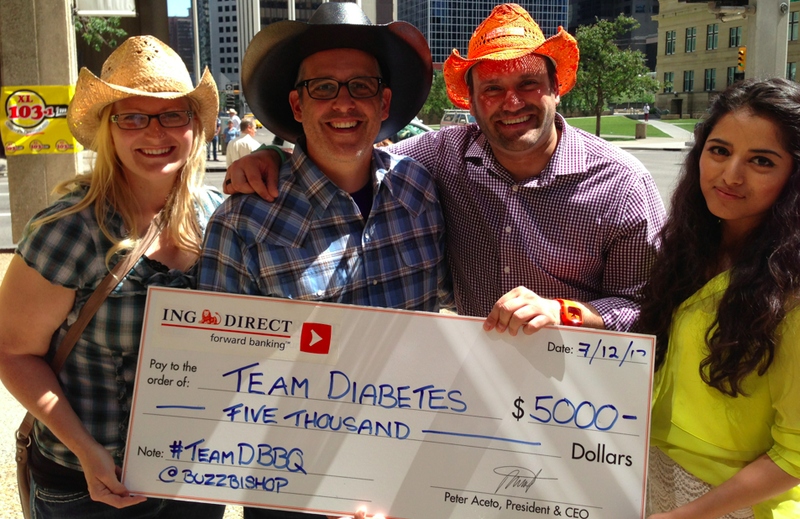 In the past 18 months, ING Direct has donated nearly $10 000 to Team Diabetes. I don’t have a sponsorship deal with them. They don’t sponsor me directly. They are not corporate sponsors of Team Diabetes. I don’t bank with them. (Maybe I should change that). 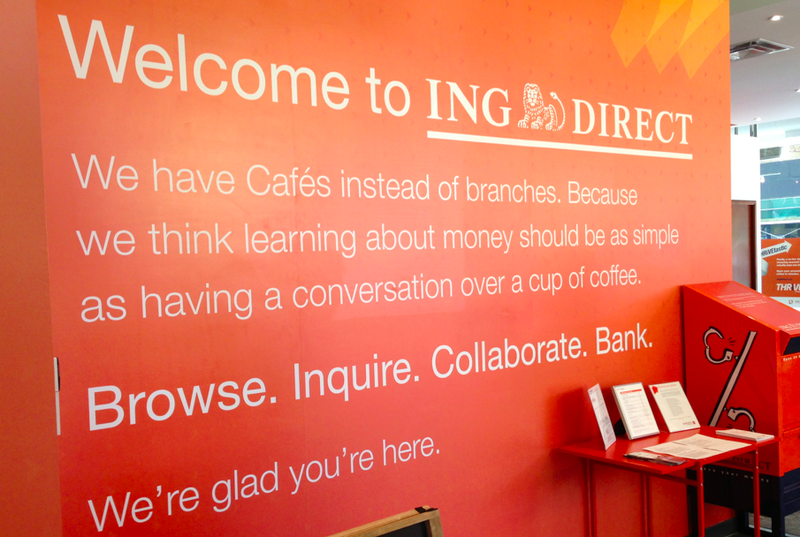 ING Direct just looks for interesting ways to help in the community, and they pitch in where they can. They have donated to Calgary Board of Education’s Book For Kids Program, Boys & Girls Clubs of Calgary, sponsored Vertigo Theatre’s Y Stage Access For Young Audiences program and partnered with WH Cushing Workplace School (includes volunteering, helping with field trips and starting a school garden). During the Calgary Flood they offered to match client donations and actively promoted phone and text lines for people to make donations. This summer they are on board as a full sponsor of Five Hole For Food and are helping to fill food banks across the country. When they see things that need help, they try to help. Last year they reached out to me to participate in a Twitter contest which, along with donated money to various charities, encouraged people to support Mayor Nenshi‘s 3 Things For Calgary. 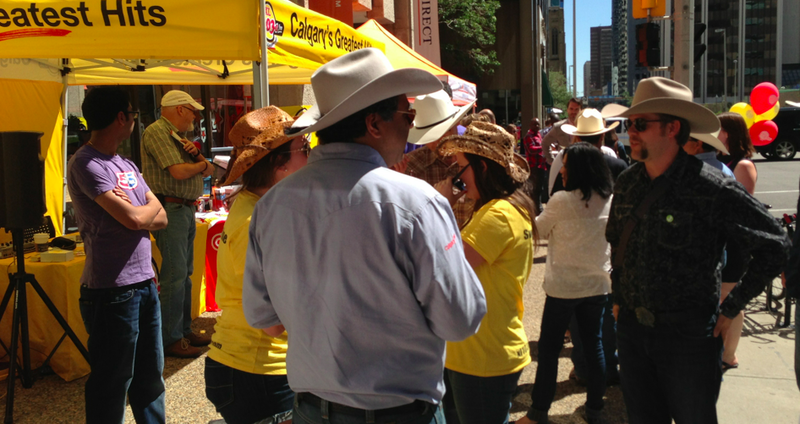 This year, they asked me to broadcast my show from their annual Stampede BBQ. They do it every year on the sidewalk in front of their Orange Cafe in downtown Calgary, and this year they offered to have Team Diabetes be the benefitting charity. They served the food, asked for donations and then matched them. They got some raffles and silent auction items, and gave all the money to Team Diabetes. Today, that meant a cheque for $5000. I am not a client. I am not sponsored by ING Direct. I’m just a guy in the community who tries to raise money for a charity. They noticed and offered to help. Thank you to Jonathan Glover, Kevin Bradbury, Jaime Stein, Peter Aceto, and the rest of the ING Direct team. 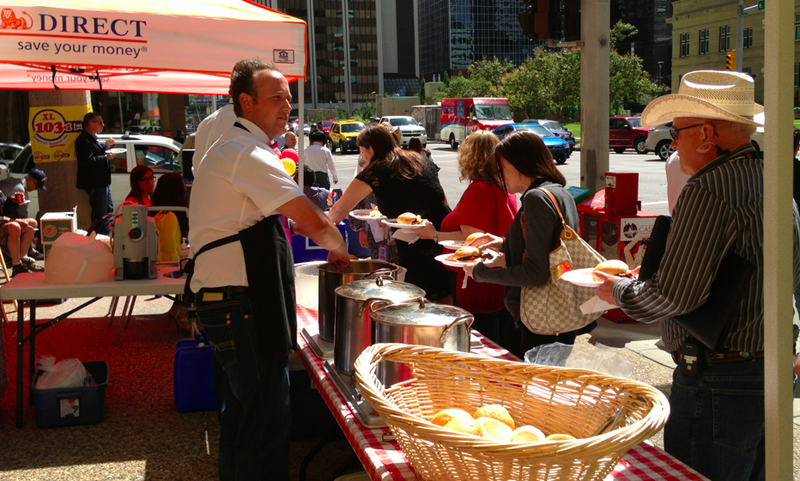 Thank you to All Beef Catering for donating the food today. Thank you on behalf of Team Diabetes, and the more than 9 million Canadians living with diabetes or pre-diabetes. Thanks for looking for a place you could help, and helping.